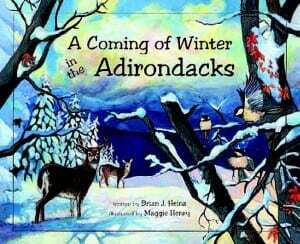 This book is called A Coming of Winter in the Adirondacks. It’s really good!!! My favorite part of the book was the pictures. The first time I opened the book my first word was “Whoa!’’ All the pictures were … awesome!!! 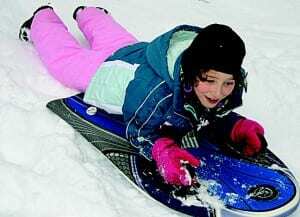 The reviewer is an expert sledder. The rabbit and the mouse looked SO realistic I wanted to pet them! They just looked SO cute and fuzzy! My favorite picture was of the mountains on the very last page. Usually when people draw mountains they draw them all gray and really boring. But Maggie Henry (she’s the illustrator) drew the color of the trees! The detail was perfect! I was speechless!!! The author is Brian J. Heinz. Some of his words were hard to understand, but what I understood I liked. These words were especially confusing: spires, hemlock, spruce, hunches, and jubilation. I liked the style of the book. It wasn’t really a story; it was more like a poem (a good one). Even though I had trouble with a few words, I LOVED how thoughtful the story was. The book tries to teach kids how animals will prepare for winter. I think children will enjoy the book and learn from it. Whenever I go to the Adirondacks we always go on a hike. I LOVE visiting the Adirondacks. And I hope when you go there you will like it too!!! 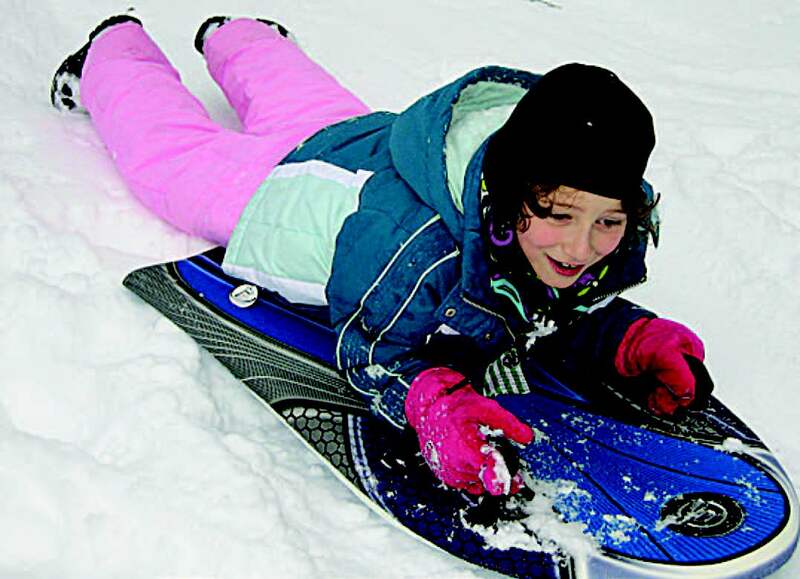 If you ever go, be sure to bring a sled (for sledding.) And hiking boots. Believe me you’ll need them to go hiking. Also remember a hat, gloves, and a scarf, because it’s cold … especially in winter.